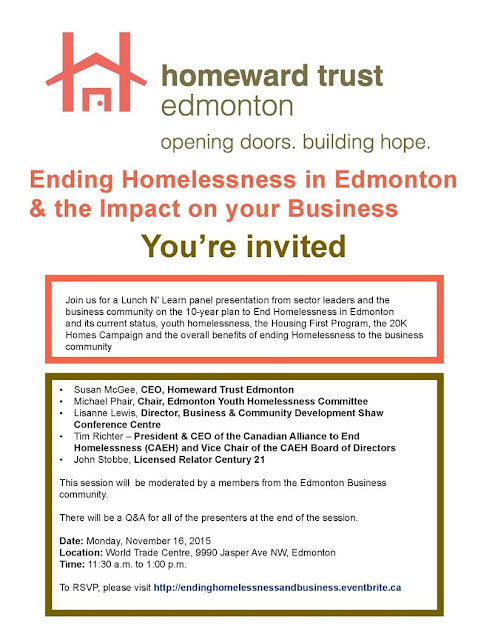 Edmonton's part in a 6 year old campaign to eradicate homelessness is well on it's way to being a success. Since joining the national campaign to house the chronically homeless, approximately 20,000, by 2018, the city has reduced our numbers by 25%. There are many ways you can help stop homelessness. I'm going to a Lunch N Learn on Monday November 16 from 11:30am to 1pm. Tickets are $21.80.